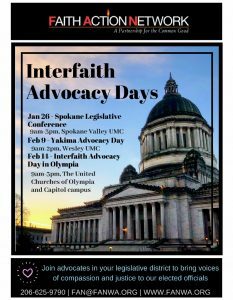 Faith Action Network – Interfaith Advocacy Day: Olympia CANCELLED! NO Men's Gathering this month. Happy Valentines Day! Click here for a - reader beware - interesting NPR article on the Dark Origins of Valentines Day. Who knew?